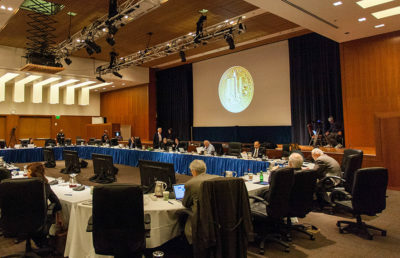 The UC Board of Regents will convene Wednesday and Thursday at UCSF Mission Bay to vote on a new operating budget plan, which includes tuition hikes for in-state and out-of-state students. If approved Thursday, the proposed 2017-18 budget will include increases in in-state tuition, the Student Services fee and undergraduate out-of-state tuition. Tuition for in-state students would increase by $282, with an increase of $54 in the Student Services fee for a total increase of $336. For out-of-state students not receiving the AB 540 out-of-state exemption, tuition would increase by a total of $1,688. Also in the budget proposal is an expected $25.8 million in funding from continued asset management strategies, savings from new systemwide procurement contracts, savings associated with Fiat Lux — the university’s self-insurance initiative — and philanthropic giving, according to UC Office of the President spokesperson Ricardo Vazquez. Additionally, the budget includes a revenue of $14 million in savings garnered from the ongoing phasing out of need-based financial aid for out-of-state undergraduates. Current out-of-state students who are receiving this type of aid will not be affected by the phasing out. If approved, the 2017-18 budget plan will generate a total of $465.2 million in increased revenue for the university. UC revenue comes from four categories: state general funds, systemwide tuition and fees, UC general funds and alternative revenue sources. The budget receives the greatest total revenue — of $142.6 million — from tuition and Student Services fees. 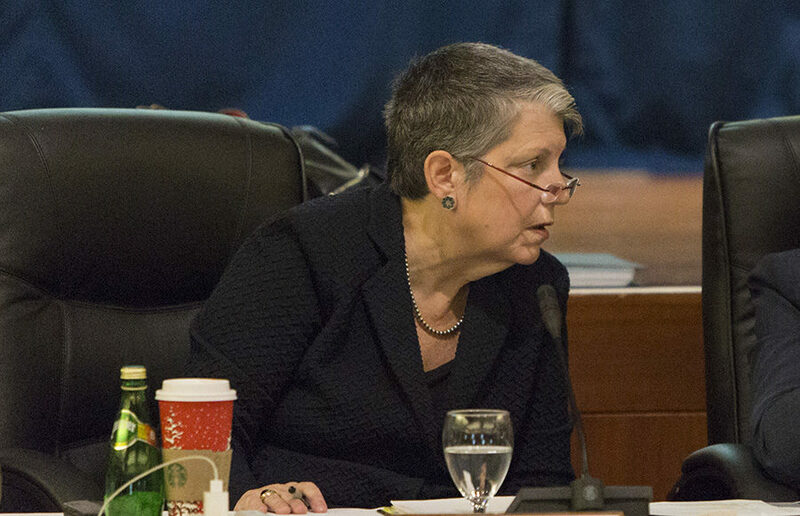 More than one-third of this amount — $49.3 million — would be compensated through financial aid to UC students. Giovanni D’Ambrosio, director of the Campus Organizing Corps, said the university should better address the basic needs of struggling students, such as access to sufficient food and affordable housing. “Financial aid is like a pie chart — if you get more money from one area, it will be taken away from another area,” D’Ambrosio said. D’Ambrosio said the UC system should change the methods by which it determines housing costs and needs on campuses. Currently, these criteria are decided by an undergraduate student survey — the Cost of Attendance Survey — but D’Ambrosio said the survey is often inaccurate because of the illegal living conditions that students are sometimes forced to acquire. “Someone may pay normal market value for their home but are at risk of eviction because more people live in their home than is legal,” D’Ambrosio said. D’Ambrosio believes that the UC system should determine housing costs through market value alone. On the agenda for Wednesday is a discussion item regarding the expansion of state legislation AB 540, which concerns nonresident tuition waivers and financial aid. 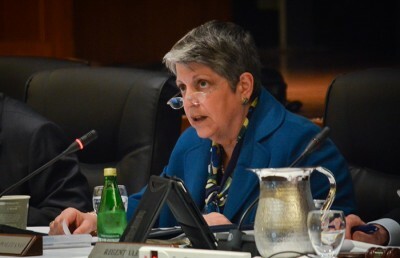 The proposal would expand the requirements to include specific students, including some undocumented students, typically those who attended a UC school or CSU when they were older. Currently, to receive the exemption, a student must have completed three years at a California high school. The new proposal would simplify eligibility by allowing for a maximum of two years at a state community college to satisfy the three-year California school attendance requirement. The regents will also hear an update on the latest developments of the incoming Trump administration and its effect on the university, among other items. Audrey McNamara is the lead higher education reporter. Contact her at [email protected] and follow her on Twitter at @McNamaraAud.